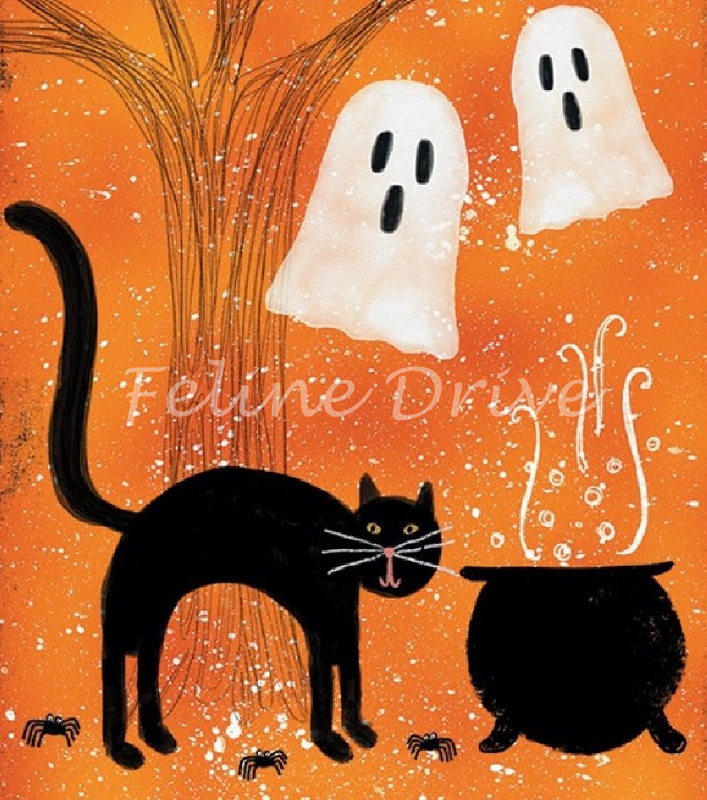 Katie Doucette brings us Spooky Vibes for Halloween with folk art style motifs in oranges, grays & black, whimsical enough for kids' projects! 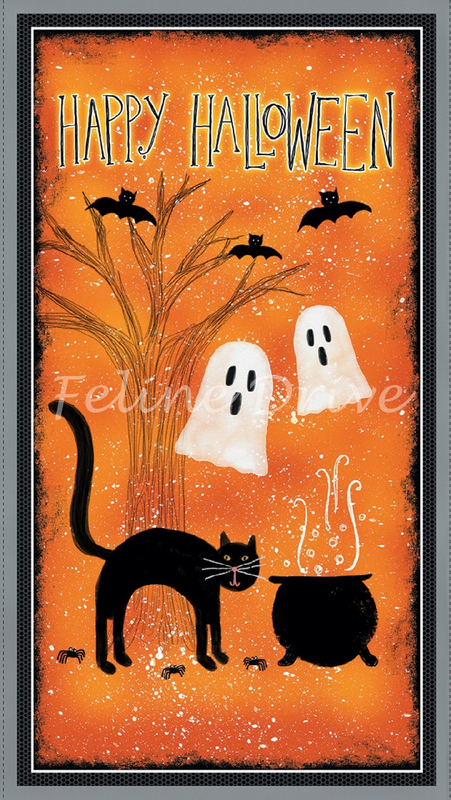 This panel would make a great door hanging to greet your trick-or-treaters! Print Size:Panel measures approximately 24" x 44"